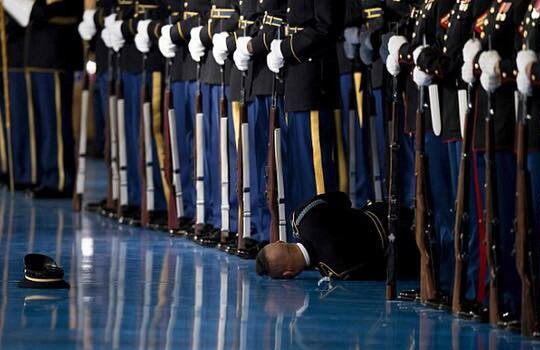 Member of the U.S. Army Honor Guard faints in front of Barack Obama during his farewell speech. 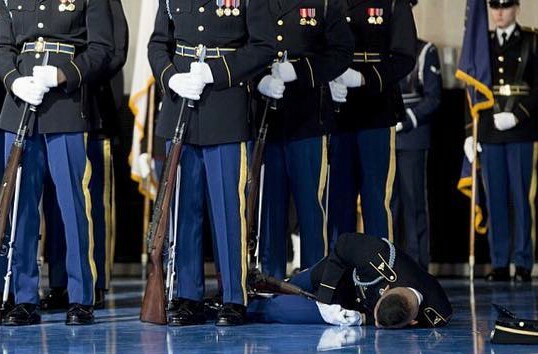 As Obama addressed the armed services on Wednesday at the Joint Base Myer-Henderson Hall in Arlington, Virginia where he was giving his final salute before he leaves office, a guard member fainted and no one rushed to render help as he was pictured lying crumpled on the floor next to the feet of his fellow service members. 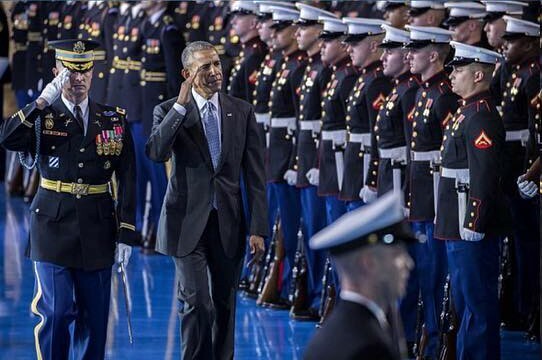 "Firstly, when a Soldier passes out in formation, you do not break rank. The person in charge of the formation never gave the orders for you to move. The reason no one is helping him is because there is a medic at the back of the formation that will provide medical support. 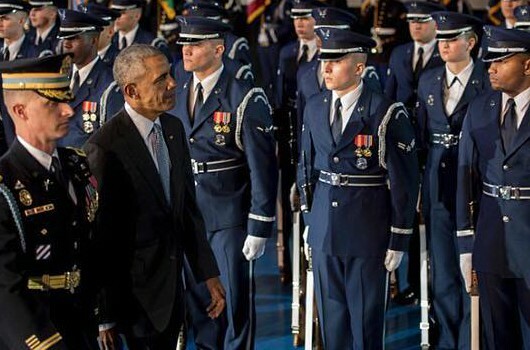 Lastly, causes of Soldiers passing out in formation are locking of knees (leads to loss of blood flow, hence the vertigo), exhaustion (the practice for this short 2-3 hours ceremony started a few months ago come rain or sunshine), and illness. I will take my bet on the first being the issue here."